1. Where is the place that Harry liked best? 2. Why does he like it so much? መርሓባ! እዚ፡ ብቋንቋ እንግሊዝኛ ሓሳባትኩም ንምግላጽ ዝሕግዘኩም መደብ English Expressions እዩ። እንቋዕ ብደሓን መጻእኩም። ሎሚ 'mind-blowing' ዝብል መግለጺ-ሓሳብ ክንርኢይ ኢና። ትርጉሙ እንታይ ክኸውን ይኽእል ትብሉ? ትርጉሙ ንምፍላጥ ሓቢርና ንከታተል። ፌይፌይን ሃሪን፡ ብዛዕባ ሃሪ ዝበጸሖ ቦታታት የዕልሉ ኣለዉ። ሃሪ ካብ ኩለን ቦታታት ኣብሊጹ ዝፈትዋ ኣየነይቲ ክተከውን ትኽእል ትብሉ? The battle scenes in the new film were amazing. I couldn't believe the realistic graphics. They just blew my mind. 1. 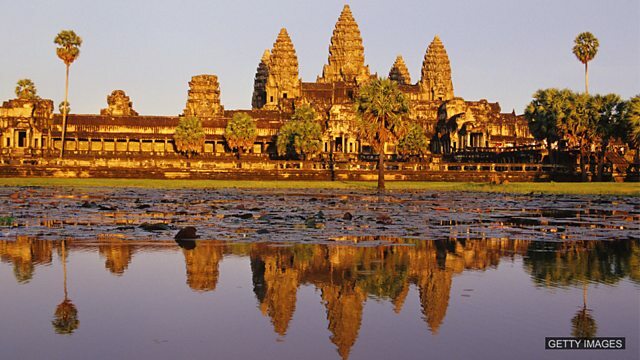 Harry liked Cambodia best. 2. The temples are very beautiful. We use 'mind-blowing' to describe something that is so amazing it can be difficult to understand. It is an adjective which is made up of two words that are always joined by a hyphen. The view from the top of the mountain was mind-blowing. The parachute jump was a mind-blowing experience. This food it's delicious, it's absolutely mind-blowing. Have you had any mind-blowing experiences? Have you ever been somewhere mind-blowing? Come and tell us on our Facebook group.